On October 7th, Margaret McElroy and the energy of Maitreya will be holding a workshop in Delhi, India. Topics to discuss include higher consciousness, meditation, and ways for spiritual living. We come here to the Earth plane to learn from life itself. Margaret McElroy travels to India this fall to bring her message, and the energy of Maitreya, to the world. During this trip to India, Margaret McElroy will travel to Delhi to hold a day-long workshop called “A Day with Buddha Maitreya” at the Sri Sathya Sai International Centre starting at 10:00 am. 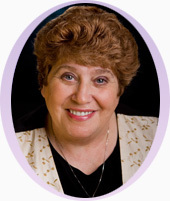 Margaret McElroy is an internally renowned clairvoyant, spiritual teacher and channel for the energy known as Maitreya. Margaret has been channeling Maitreya since 1992, and has traveled all over the world to bring this spiritual energy to the globe. In 1996 Margaret channeled Maitreya to a group within the United Nations. The name Maitreya is well-known in Eastern culture as the future Buddha, and he can also be referred to by the names Maitreya Buddha, or Mi Le Fo. Maitreya’s messages are about living a life based on your own truth and being your own master. He posts regular messages through his channel on his Maitreya World Teacher Facebook Page. A Day with Buddha Maitreya will include a 1 hour meditation lead by Maitreya, as well as discussion on several different topics. Maitreya will enlighten the audience with such topics as, how to remove fear from one’s consciousness, the importance of past lives, healing energy, life lessons and other subjects.